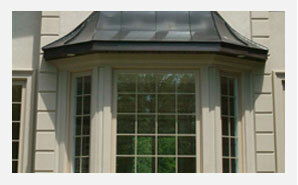 Luxdoor Ltd. provides and installs high performance top-quality Windows. Our expirience and quality has proven itself ontario-wide for the past 23 years. These modern state of the art windows are more durable, long lasting, appealing, and more environmentally friendly than any of the standard single paned windows of the past. Luxdoor Windows serves the GTA, Halton, Peel ,Durham and York Regions, Vaughan ( including Concord, Thornhill, Maple and Woodbridge) and surrounding municipalities. Our professional window installers will provide you with a worry-free and timely installation. We are fully qualified window contractors and provide you with some the best products and warranties, available in today’s market. Compared to many other window companies and independent installers, Luxdoor Windows is amongst the best. We are fully licensed, bondable and fully insured. The amount of money you save from your heating and air conditioning bills will make the process of getting new windows in your home all the more worth it. It’s definitely one of the best investments you can make for your home. Luxdoor Ltd. takes pride in having a great selection of modern, affordable and energy efficient windows to choose from for all our clients. Vinyl windows, fiberglass windows and doors, are all part of a great selection of windows to choose from. These modern state of the art products are more durable, long lasting, appealing, and environmentally friendly than any of the standard single paned windows of the past. The amount of money you save from your heating and air conditioning bills will make the process of getting new windows in your home all the more worth it. It’s definitely one of the best investments you can make for your home. We are proud to serve our clients in the GTA, Halton, Peel and York Regions, including Vaughan, Markham, Richmond Hill and surrounding areas. 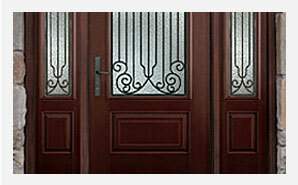 We are one of the most recognized window and door companies in Ontario. Our qualified window and door contractors will provide you with a great installation and a solid warranty on all our products and services. Our installers are committed to the best workmanship standards, covered by our full installation warranty which is unmatched by most window and door companies. All of our installers carry WSIB and are fully bonded and insured.